Clear Sound sculptures structured by Drum Kits, Basses , and Machine-rhythms which have been refined note by note. Techno is always oriented towards futuristic sound. A ” 20XX CLASSIC ” perfectly put together as the finest beat album by a DJ who has been spinning for more than 15 years. 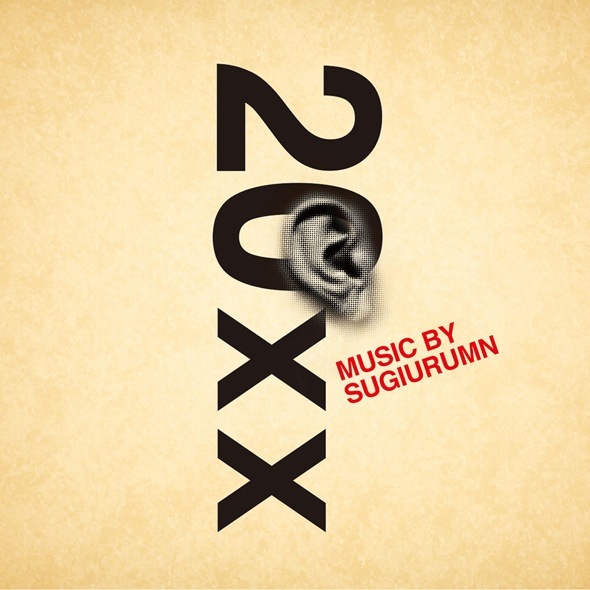 Sugiurumn has made history with his Dance Beats such as Indie Dance, Big Beat, House, and Techno from the 90’s onward. This particular album has used a different concept from many other DJs. ” 20XX ” gives us extraordinary 70 minutes’ sound trip with one theme throughout the album. A machine-beat dance music born in the 80’s started as Chicago House / Detroit Techno, which has gradually evolved, setting a variety of trend around the globe. Each city has created its unique sound in Manchester, New York, London, Ibiza, and Berlin. Now the dance music history is almost marking 30 years, a number of experiments having attempted over and over on weekends . Being inspired from dance floors, Sugiurumn puts together beats and sounds with refined minimum sounds, based on his longtime experiences and his unique sense. This atmospheric soundscape is an absolute masterpiece like a painting of impressionist school. Sugiurumn stands at the booth every weekend, makes people go crazy in Manchester or Ibiza, and manages a label, BASS WORKS RECORDINGS which makes a release every week: it is quite hard to find a DJ like him. After having thoroughly condensed and refinined sounds he had listened to or experiences he had had at night clubs, an only beautiful soundscape is remained. A hi-hat implies there is something more behind it, which attracts every single audience and their heart. Parties has become not only the place to go crazy but where you can stretch your imagination. That’s why we need his music now.